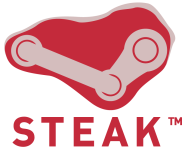 Five mods have been given special access to the Steamworks SDK and will be releasing future versions over Steam. Valve’s forthcoming puzzle game Portal will feature a system for importing and loading fan-made maps, according to Eurogamer’s recent preview. The purchase of Ritual Entertainment by casual games developer MumboJumbo, and the subsequent shelving of the SiN Episodes series, comes amid increasingly noticeable industry whispers that Valve’s episodic efforts are returning only lukewarm sales figures. The episodic debate has been very much re-opened as a result, widened further by yet another Half-Life 2: Episode Two delay. What’s gone — and going — wrong?